We've packed up our picnics this month and baked some delicious looking cakes. 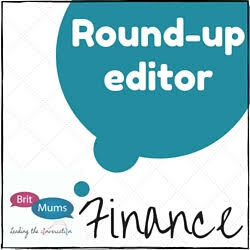 Let's spread out our picnic rugs and have a read of what everyone has been making this month. Katharine over at Leeks and Limoni was straight in this month with her Ricotta and Chocolate Cake. A moist combination of creamy ricotta and dark chocolate chunks this keeps well for a couple of days. Perfect if your picnic is postponed due to rain! 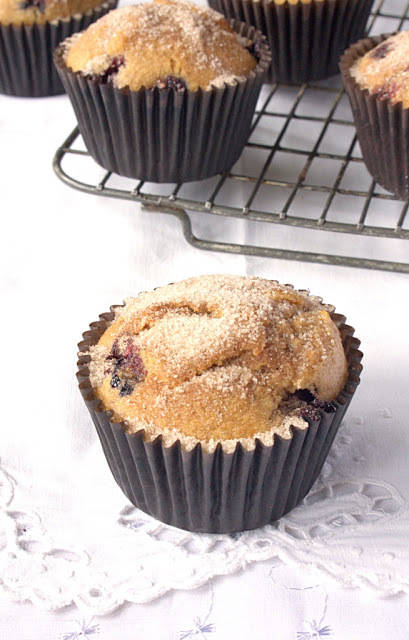 If you want your picnic to have a healthy kick to it with Laura's Whole Wheat Blueberry and Almond Muffins you can. Packed full of the good stuff they are finished off with a cinnamon sugar glaze. To finish off the summer strawberries Caroline went for some Strawberry and White Chocolate Blondies. They went off on their travels but not on a picnic but a trip to a design agency! 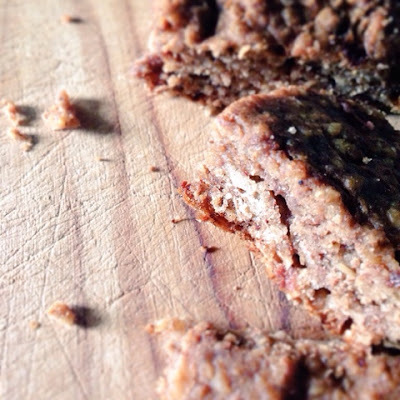 Made in a brownie pan they are perfect for an individual portion. For an epic family get together Helen, of the aptly named Family Friends Food, made a selection of sweet treats including these Blueberry and white chocolate chip cupcakes. As these were for eating on Shabbat after a big lunch Helen used parve margarine and chocolate chips. It's vegetable glut season and over at Elizabeth's Kitchen Diary has a nifty way of using up some courgettes. 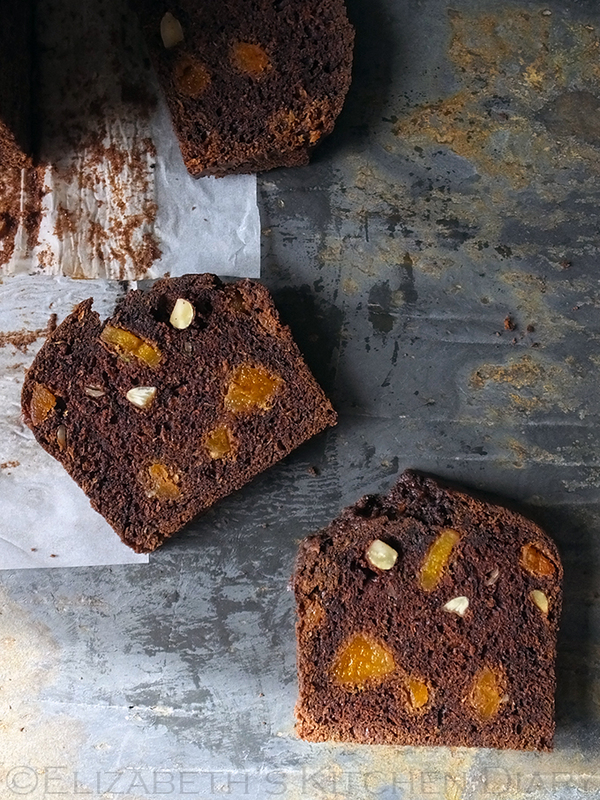 Based on her father's recipe this Chocolate Courgette Loaf also contains raw almonds and dried apricots. 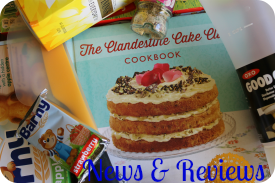 There was more healthy goodness this month in France with De Tout Coeur Limousin and A rather virtuous and moreish vegan banana cake. 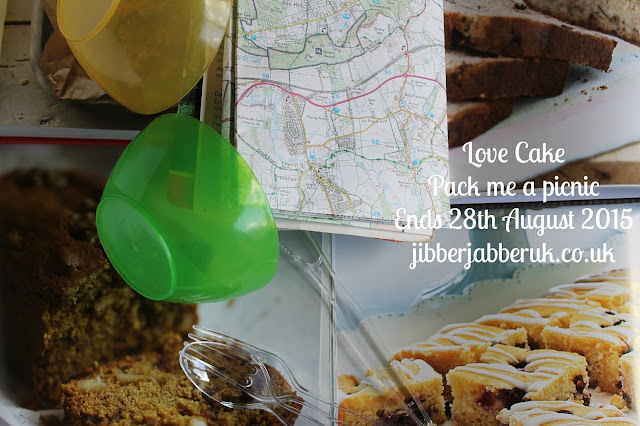 Packed full of dried fruit, wholemeal flour and oats this is cake to carry with you whilst out on your cycle ride. If you favour savoury over sweet in your picnic basket then The more than occasional baker had two options for you this month. First up was Bacon, Blue Cheese and Polenta Muffins using ingredients leftover from a barbecue. For those wanting a vegetarian option Ros made Brie, Courgette and Red Pepper Muffins. Packed full of flavour and seasonal veg these are sure to please the meat eaters as well! If you fancy something more pudding like in your cake slice try the Cherry and Almond Crumble Cake Squares from Elizabeth's Kitchen Diary. 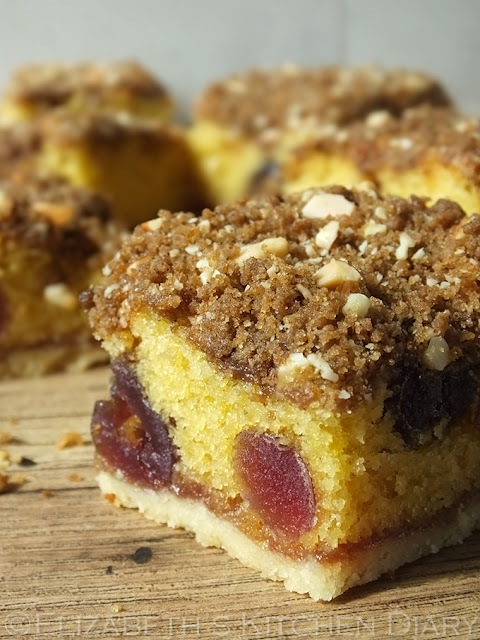 Baked on a day filled with rain rather than picnics it is a combination of shortbread base topped with cherry cake and a crumble finish. 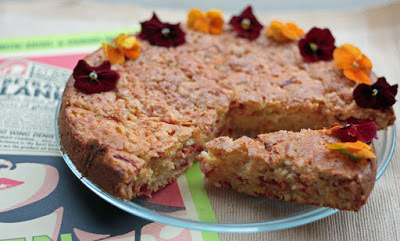 If you're after way of using your crops of colourful beetroot and early apples then look no further than Allotment2Kitchen's Speckled Beetroot Apple Cake. With an array of red and yellow beetroot in it plus a natural sweetener in the apples it is a great cake to pack up for a lunch. It's not so much as pack a picnic at The Gluten Free Alchemist this month but pack for a holiday! With birthday girl needing a gluten free cake whilst in Crete it was up to Kate to carefully plan her Holiday Birthday Chocolate Cake. With vital ingredients and equipment in the case and the addition of some local supplies the whole cake turned out a great success. 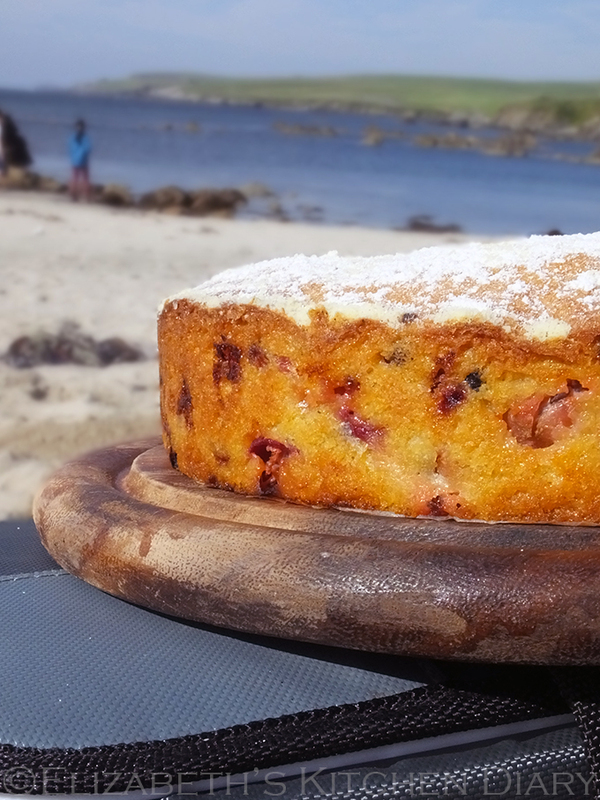 To soak up those last days of summer in Shetland Elizabeth used a selection of seasonal fruits for her Summer Fruits Picnic Cake. With red currants, black currants, gooseberries and raspberries this was a cake fit not just for a picnic but an adventure. Down in Cornwall at Tin and Thyme the hunt has been on for the new Liskeard Bun with Choclette as one of the judges! 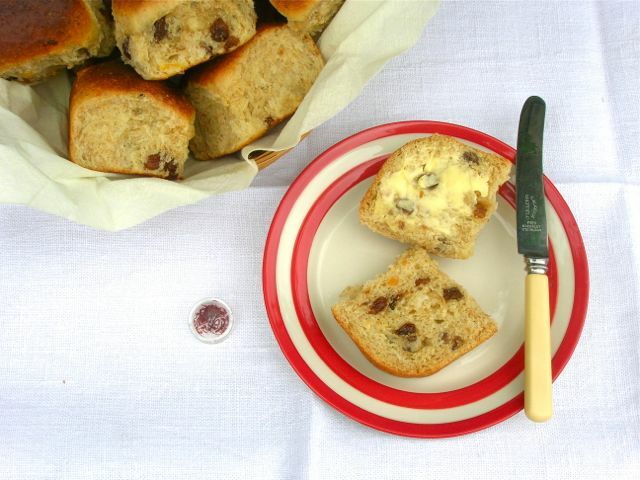 She shared with us her version of Cornish Saffron Buns - individual fruity yeast cakes flavoured and coloured with saffron. 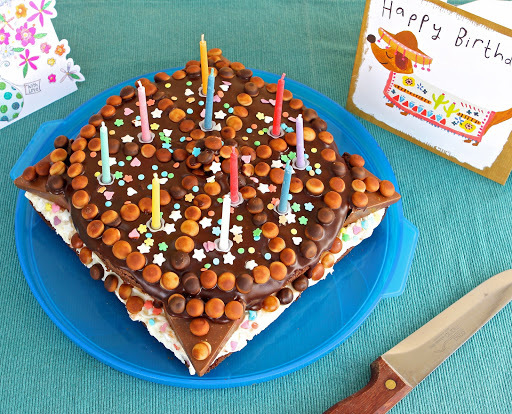 I came over all sweet this month with a Honey cake. No fuss or fancy ingredients just a good, simple cake perfect for a picnic. This one went on tour to our family picnic in the Peak District! Thank you to everyone who braved the British summer and joined in this month. 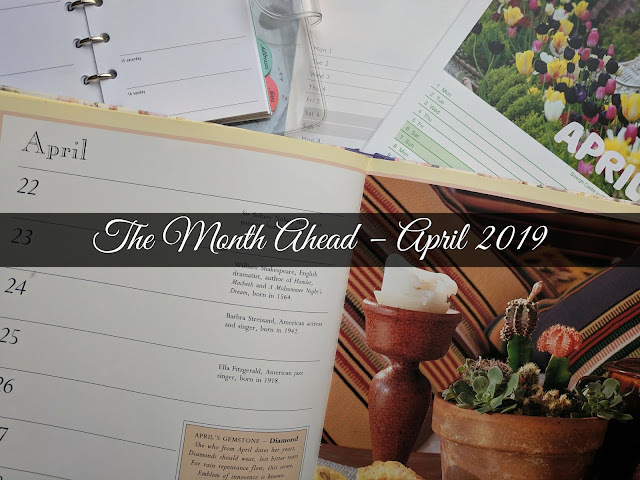 I'll be back after the Bank Holiday with the theme for September. Mmmmm cake! :D I seem to have submitted a fair few entries this month, I hope that was ok! :D Looking forward to next month's theme! Lovely round up Ness! Looks like one hell of a picnic!! 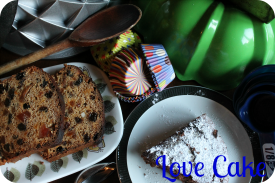 Elizabeth's picnic cake looks divine!